Last month I packed up the kids, fled the depressing winter weather, and flew down to sunny St. Augustine, Florida to spend the week with family. 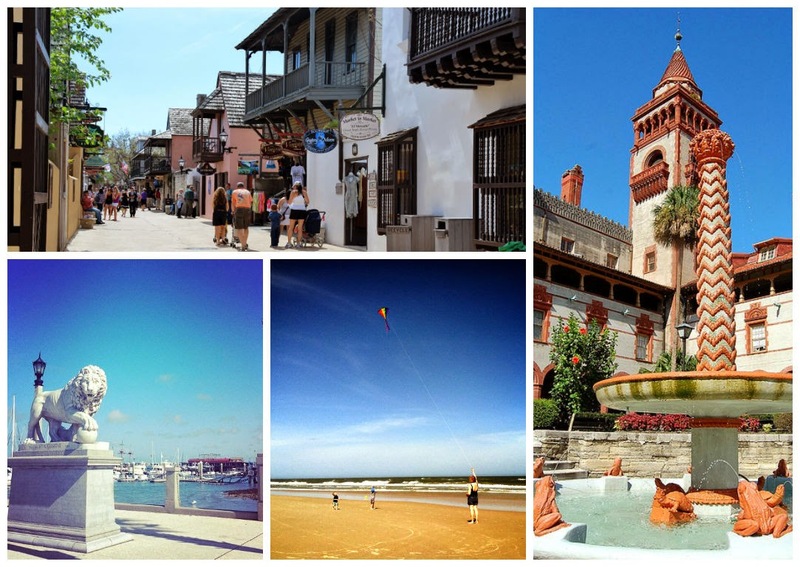 St. Augustine proudly claims the title of the "Nation's Oldest City." Founded in 1565, the seaside town boasts a rich history encompassing everything from pirate attacks during the Spanish conquest to Ponce de Leon's fabled "Fountain of Youth" to a stint as a posh winter resort for the rich and famous during the late 1800's. The art and architecture of the city span four centuries and perfectly blend to create an atmosphere unique to St. Augustine. If Spanish conquistadors and Gilded Age architecture just aren't your thing, don't worry, there are also miles and miles of pristine beaches. And a charming lighthouse. And an alligator farm. And a dolphin marina. Basically, there really is something for everyone. I'd love to write about each one of our Floridian adventures. 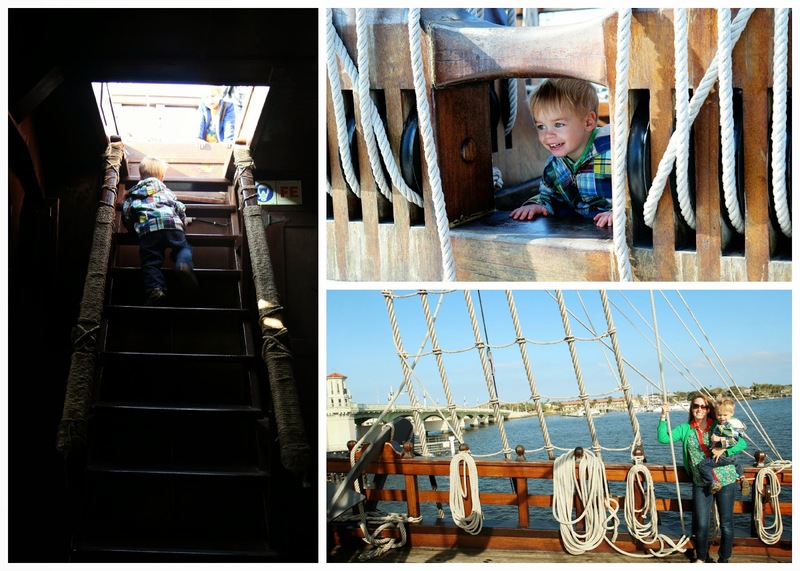 I could write about exploring a perfect replica of a Spanish Galleon or how the boys and I made it through the entire Pirate Museum in a record breaking 2.34 minutes. Henry chose Pineapple Ginger, which we decided was the winner. Traveling with small children isn't exactly a vacation, unless your definition of "vacation" is doing laundry, dishes and bedtime in a new location. But sometimes, a new location is all you need. Traveling is learning. And as you learn about the world, you realize that the world is actually teaching you about yourself. 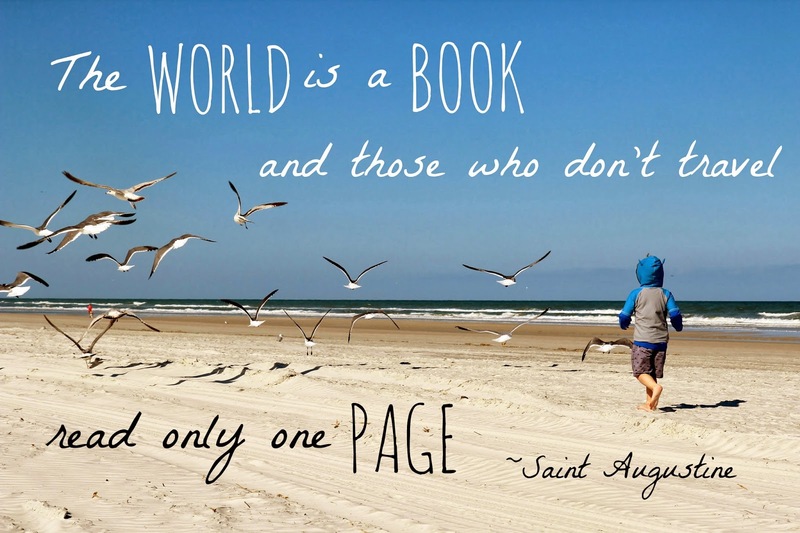 As I watched my children explore St. Augustine, I saw their distinct personalities emerging as they interacted with the world around them. And I learned that I have an Adventurer. My Adventurer raced at top speed, without hesitation, into frigid salty waters. He wore a sweatshirt under his swimshirt with a big, silly grin. He has no fear of strangers and struck up conversations with anyone who peaked his curiosity. He ordered pirates to lend him their gear so he could look the part while steering the ship. My Thinker poked his head into every nook, cranny and giant cannon. He studied shell after shell in the coquina streets and always lingered behind because he had just discovered some new fascinating treasure. He's never met an animal he didn't love...even a dead jellyfish. My Daughter has only just turned one and it's still a bit early to pinpoint personality. (Secretly, I'm kind of hoping for "the Shopper", because the boys just do not understand the gloriousness that is a shoe sale.) Still, wherever we went and whatever we did, she was content, as long as she could be part of the fun too. She insisted on investigating the sand and scenery for herself and if the boys got a gourmet popsicle, you had better hand her a Cucumber Lemon Mint too. "I want that! No, I don't. Yes, I do!" So thanks, St. Augustine. Thanks for the history lessons and the pirate adventures and the beachy strolls. Thanks for the reminder that my children are their own little people, growing up before my eyes and teaching me about the world from their unique perspectives. 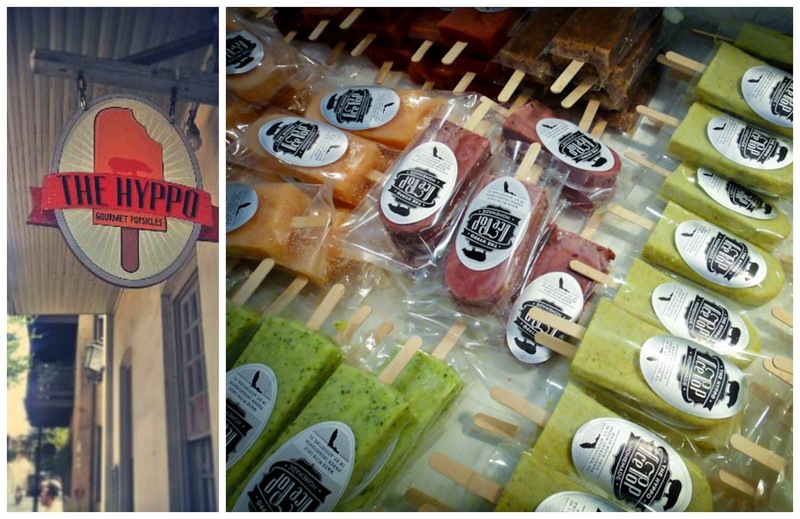 And I'd pay $4 for one of your popsicles any day. Just me and the kids...and a photobombing pelican. How fun! Hey we have twinner families. I have two boys and a baby girl as well :) We go to Florida in September every year and seeing your pictures is making me wish it was already September! And you're so right. A vacation with littles is not really a vacation. But the warm sunshine and the BEACH makes it seem a lot easier to still have to do the nitty gritty kid life stuff. Love the picture of your son looking into that cannon. And maybe this is exactly why I love traveling with Berk so much...I get to really SEE him when we're out of the routine and in a new location and out of the ordinary. Yes! His "realness" is able to be seen. Thanks for putting words to that.